If you’ve been on the hunt for a Ford dealership in Harrisburg PA, you likely already know how frustrating it can be to find a dealer that provides the full package. Some dealers might offer a wide inventory with a variety of great vehicles, but their customer service leaves of a bad taste in your mouth. Other’s might be the exact opposite, with friendly and helpful staff but a lackluster selection of cars! If you’re looking for a Ford dealership near you that can offer it all in one convenient location - make Bob Ruth Ford your destination! We carry the premier selection of new and used cars near Harrisburg, PA. Our team searches far and wide to bring our local customers a truly impressive array of cars, trucks, and SUVs to choose from. It’s vital to have variety when trying to find your next car. After all, you’ll likely keep this vehicle for several years - so you’ll want plenty of options at your disposal! Variety is the name of the game here at Bob Ruth Ford. From powerful pickup trucks to spacious family SUVs, we carry the broad selection of vehicles that you’ve been searching for. Of course, we don’t just rely on our top-notch vehicle inventory to make us the clear choice of car dealerships near Harrisburg PA! We offer world class customer service to match. 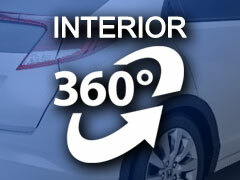 Our staff of courteous car experts has years of experience helping Harrisburg buyers locate used cars for sale nearby. They’ll work hard to meet your car buying needs, and live up to the reputation for outstanding customer service that makes Bob Ruth Ford a local leader in car sales. When you want a top-notch vehicle that will provide you with many years of hassle-free driving, buying new isn’t your only option! If you’re looking to save considerable cash on your next vehicle purchase, you won’t want to miss the stock of cheap cars for sale near you at Bob Ruth Ford! We’ve scoured the market to bring our valued customers an excellent array of used cars near Harrisburg. Whether you’re in the market for a fully loaded SUV or a fuel-efficient sedan, we’re sure to have several options that will meet your needs. Some people might tell you that used cars are a bad investment, or that they’ll be plagued with costly maintenance issues. That’s not the case at Bob Ruth Ford! Every used vehicle we sell has been thoroughly inspected by our team of Ford certified technicians to ensure its reliability. If you want to save money on a feature packed car that will offer an unbeatable driving experience, buying used cars near you at Bob Ruth Ford is the way to go. Ready to find the perfect used car for you and your family? Check out our entire used vehicle inventory. You can narrow down your results by make, model, price and even features to hone in on a selection of cars that will be a great match for your needs. For buyers who need a spacious vehicle with room for the whole family, we recommend having a look at the used Ford Explorer! This excellent Ford vehicle has been one of the top-selling SUVs in the nation for many years, and it’s easy to see why! Fold down third-row seats offer plenty of seating space when you need it, and ample cargo room when you don’t! Satellite radio will help keep the whole family entertained on long rides, as you listen to your favorite stations. Four-wheel drive will let you drive with confidence in all sorts of road and weather conditions. Need a reliable used car that can stretch your gas budget even further? The Ford Focus may be just the vehicle for you. With it’s sleek and sporty exterior, this car is built to impress. With up to 30 city / 40 highway MPG, you can say goodbye to frequent gas fill-ups! A Bluetooth compatible audio system will let you seamlessly connect your favorite mobile devices for listening to your favorite tunes. The 6 speed automatic with powershift transmission provides a fun and efficient driving experience. Available in all sorts of alluring exterior colors like Race Red and Ingot Silver Metallic, we have a Ford Focus in stock to suit all sorts of buyer tastes. Are you shopping on a tight budget? Check out our inventory of cheap used cars for sale! Find a great selection of used cars in the Harrisburg area at Bob Ruth Ford. We know that you have a lot of options when deciding where to shop for your next car. Our goal is to be the best answer to your automotive shopping needs! We offer a 12-month certified maintenance program to help keep your car in top shape. You can book service appointments online 24/7. We’ll work around your schedule! If you’re shopping with poor credit, we’re pleased to provide a guaranteed credit approval program. If leasing is your goal, you’ll find plenty of great Ford lease deals at PA’s Ford leasing destination! Bob Ruth Ford is here to serve all of your car buying needs.